Jim Wallis has 1 media appearance. America's problem with race has deep roots, with the country's foundation tied to the near extermination of one race of people and the enslavement of another. Racism is truly our nation's original sin. In America's Original Sin, Wallis offers a prophetic and deeply personal call to action in overcoming the racism so ingrained in American society. 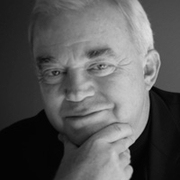 Jim Wallis is president and founder of Sojourners and editor in chief of Sojourners magazine in Washington, D.C. He is a bestselling author, public theologian, national preacher, social activist, and international commentator on ethics and public life. Wallis has written ten books, including The (Un)Common Good and the New York Times bestsellers God's Politics and The Great Awakening. Jim Wallis discusses "On God's Side: What Religion Forgets and Politics Hasn't Learned about Serving the Common Good"
Lincoln led America through one of the most tumultuous times in our nation's history. Reading his words today, it is clear we still have much to learn concerning what it means to be On God's Side. Bestselling author, public theologian, and leading Christian activist Jim Wallis speaks directly into our current context, revealing the spiritual compass we need to effect lasting change in our society. He explains how the good news of Jesus transforms not only our individual lives but also our public lives. Jesus's gospel of the kingdom of God helps us recover a personal and social commitment to the common good and shows us--in concrete ways--how to be both personally responsible and socially just. Working together, we can reshape our churches, society, politics, and economy. In the midst of contentious national debates on gun control, immigration, budget deficits, and more, this book moves the conversations beyond current media and political warfare to bring together a divided country. Wallis explores how Jesus's agenda can serve the common good, what it takes to sustain a lifelong commitment to social justice, and how reading the Bible as well as the culture can shape our lives for genuine transformation. "No one cuts through the confusion of our times with clarity and compassion like Jim Wallis. He is at his best in this book--bridging a cosmic vision of what humankind could be with a concrete plan for how we get there." --Eboo Patel, founder and president, Interfaith Youth Core, and author of Sacred Ground "This sweeping tour de force by America's most prominent religious social justice activist is at once deeply personal and powerfully universal. A must-read book for policy makers, religious leaders, and anyone looking for a moral basis to address America's urgent problems." --Rabbi David Saperstein, director, Religious Action Center of Reform Judaism ---- Jim Wallis is president and CEO of Sojourners and editor in chief of Sojourners magazine. He is a bestselling author, public theologian, national preacher, social activist, and international commentator on ethics and public life. Wallis has written ten books, including the New York Times bestsellers God’s Politics: Why the Right Gets It Wrong and the Left Doesn’t Get It and The Great Awakening, and is a frequent speaker in the United States and abroad. He also teaches at Georgetown University and has taught at Harvard University. Jim Wallis -- "On God's Side"
Jim Wallis will speak about and sign his new book, On God's Side: What Religon Forgets and Politics Hasn't Learned About Serving the Common Good, on Tuesday, May 7th at 7:30pm. About the book: Bestselling author, public theologian, and leading Christian activist Jim Wallis speaks directly into our current context, revealing the spiritual compass we need to effect lasting change in our society. In this timely and provocative book, On God’s Side: What Religion Forgets and Politics Hasn’t Learned about Serving the Common Good, Wallis shows readers how to reclaim Jesus’ ancient and compelling vision of the common good—a vision that impacts and inspires not only politics but also personal lives, families, churches, neighborhoods, and the world. New York Times best-selling author Jim Wallis thinks our life together can be better. In his latest book, On God’s Side: What Religion Forgets and Politics Hasn’t Learned About Serving the Common Good, Jim shows us how to reclaim Jesus’ ancient and compelling vision of the common good—a vision that impacts and inspires not only our politics but also our personal lives, families, churches, neighborhoods, and world. He thinks it’s time to ask what it means to be on God’s side, rather than claim God to be on ours. Following Jim’s presentation, Dr. Martin E. Marty, Fairfax M. Cone Distinguished Service Professor Emeritus at the University of Chicago Divinity School, will give his reaction to Jim’s talk and share his unique perspective on the common good. After the program, speakers will take audience questions. Books will be available for purchase and signing. This event is free and open to the public. This event is sponsored by the Divinity School at the University of Chicago & the Seminary Co-op Bookstores. Taking his title from Lincoln’s statement that he hoped “to be on God’s side,” Wallis, author of The great awakening, God’s Politics, and other works combining theology and social justice, makes a case for using the Christian gospel as a way to unite today’s divided country. Jim Wallis reads from Rediscovering Values : A Guide for Economic and Moral Recovery. Jim Wallis discusses Rediscovering Values: On Wall Street, Main Street, and Your Street -- A Moral Compass for the New Economy. Jim Wallis is currently considered a "single author." If one or more works are by a distinct, homonymous authors, go ahead and split the author. Jim Wallis is composed of 3 names. You can examine and separate out names.